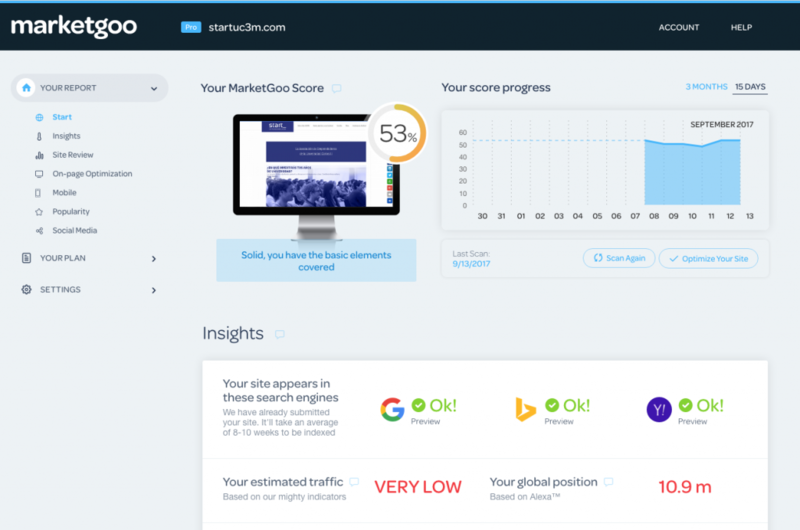 MarketGoo was born to help businesses boost their SEO strategy with a simple (yet comprehensive) solution. Our vision has always included a top-notch website crawler, analytics for web performance tracking, quality educational content and a great customer support; all of this within an interface that is simple, user friendly and results oriented. This is the part we have updated recently. Interfaces are a major challenge, we’ve learnt it over the years listening to our customers and partners. So eventually, we decided to update ours to better help our customers in their SEO journey and keep providing value as they grow. 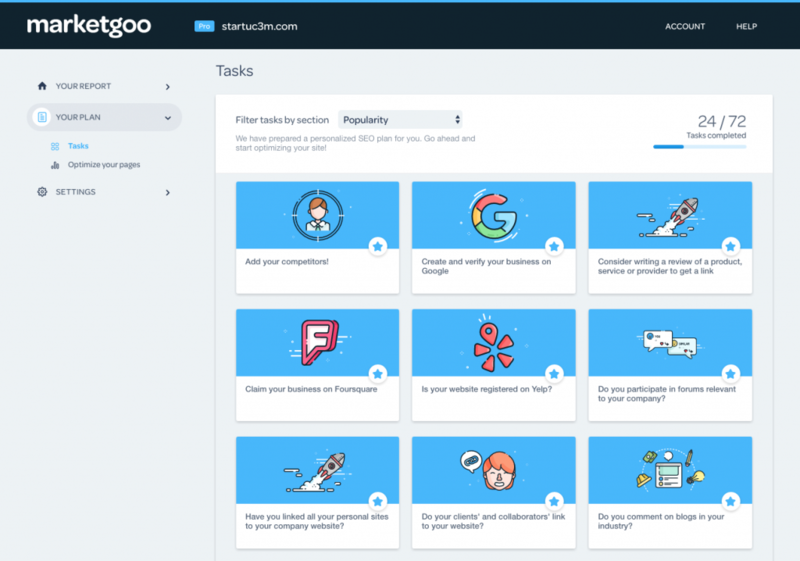 Historically MarketGoo has stood out for making a deep analysis of a given website and provide a personalized optimization action plan. We are moving into a full and dynamic website monitoring report that is also connected with an even more tailored action plan. This means richer analytics, higher accuracy and putting in front of the user all the key data-points our scan finds every single day. Customer success does not only rely on how powerful is our tool in terms of reporting and tasks. It is crucial to keep MarketGoo’s user-friendly tone while simplifying the current user experience. So instead of having a multi section dashboard with a separated results interface, now MarketGoo condenses all of these functionalities in two parts: Report + Plan. Fast to understand, simple to follow and easy to implement. Our current product lineup is based in tiers with several products and notable differences between them. The good news is that we are moving into one single product that offers different tiers based on reach, capabilities or features, not in the UX and UI. Every substantial change in a solution such as ours has to be performed with the product improvement in mind. Value understanding and satisfaction: Simpler interface with clearer customer journey to avoid spread functionality over different sections and confusion. Engagement and retention: Richer data and tailored action plan based on the use case to have deeper knowledge on website performance in the long term. Upgrade opportunity: Clarifying the product lineup and differentiating products by functionality opens a big space for upgrade opportunities into the high tier products. Once updating MarketGoo’s interface, it’s not in our plans to keep it static for a long time until we launch a new version. Instead, we are setting the floor to what from now on will be progressive rolling out of new functionalities. Some of them will come very soon ? We are pretty excited for this new release and eager to see how will it help our users to optimize their strategies and achieve their SEO goals. Try MarketGoo for free and feel free to make any comments and suggestions. Your feedback is what makes us better.